The United States' Federal Trade Commission (FTC) agreed to investigate loot boxes last year, and it seems the regulatory agency is following through on that promise now. After being asked for an update on the investigation by US Senator Maggie Hassan, the FTC responded with a letter (obtained by The Verge) laying out its plans moving forward. For now, those plans will involve a "public workshop." This workshop should take place sometime during Q2 2019, and it will allow industry representatives, consumer advocacy organizations, parents, and others to show up and give their opinion on the loot box debate. The FTC feels that, for the time being, this is preferable to direct regulation. "A workshop could provide a forum for stakeholders representing wide-ranging perspectives, including consumer advocacy organizations, parent groups and industry members." "A workshop could provide a forum for stakeholders representing wide-ranging perspectives, including consumer advocacy organizations, parent groups and industry members," FTC Chairman Joe Simons said in a statement to The Verge. "It also could help elicit information to guide subsequent consumer outreach, which could include consumer alert." It's not clear what the outcome of this workshop will be. While loot boxes are certainly far from popular among the more vocal portions of the gaming community, it's tough to say how much other groups (such as consumer advocacy organizations) will care about the situation. Regardless, we'll undoubtedly learn more about the FTC's investigation (including the results of this public forum) later this year. ghostf1re and Hexic like this. Sad world we live in... isn't there more serious problems the FTC should be spending their time on? As for loot boxes, uhh I say let the people vote; and VOTE with their wallets by buying into this money grabbing technique. Transparent cosmetic only lootboxes good. I don't have a problem with lootboxes so long as they tell you the odds and what you get. It's a problem when there are non-cosmetic items in lootboxes, when they are not transparent, or when they push the player into buying them. Impudicus, Burty117 and m4a4 like this. You have to understand that company will keep Loot boxes in system even if only 5% of people would be buying them. They are not looking for 95% of players but for 5% who would pay for 95% of players. That is how it works. That is why we are NOT voting with our wallets because they got their money they are focusing on whales not on you, or me who are not buying it because they know Math of basic statistics etc. ghostf1re and Eldritch like this. Nicely put and it has been confirmed multiple times that they look for only a tiny fraction of gamers at the cost of all others. Basically, 97 people can have a bad experience for all they care as the 3 guys will pay them ridiculous amounts for that exorbitant IAP/Item. Fair points... I still think it is wasteful of government resources though considering the FTC is a government agency, and not a COMPANY MaitieS. Sure but you have to think about children which might be a future gamblers? I think it's worthy of government resources. Personally I am expecting higher gambler rate in next 10 years because children now are playing games which contain loot box system. Ehh I don't know about that. The idea of gambling is very different for video game loot boxes versus going to Vegas to gamble in a casino, or even gambling at home in a game of poker with friends. I think the whole loot box thing is more of a unfaithful business practice. Besides, people know what they are doing when they purchase. Unless they don't get something they were promised which then leads towards false advertising. And finally, good parents need to be fully aware of what media their children are consuming and either need to control what their children see/play or teach them what is wrong in the media. For instance, you may let you 12 year old male teen play CoD because you feel he is mentally stable and mature, but also remind him the game is just fiction, and killing others in general is not a good thing - even though it is supposed to represent actions of a "military". These are sensitive subjects that most parents don't care to discuss with their children. I don't understand this part: Besides, people know what they are doing when they purchase. Unless they don't get something they were promised which then leads towards false advertising. - You don't know what you are getting from loot boxes or packs in any card game. It's just % chance of what you can get. 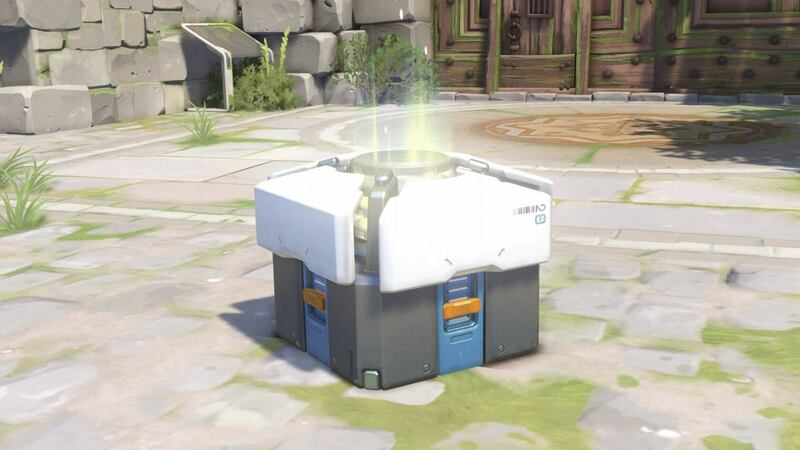 Loot boxes: Rare: 100% chance, Epic: 17% chance, Legendary 4%, Extremely Legendary: 0,06% chance. I think you can see connections. It's gambling. New form of gambling? Perhaps. Job of each government is to protect future generation and future generation are children. If you think that government should be focusing on other stuffs instead I have a bad news for you. But I agree with you in your second part but reality isn't that nice that you have time or energy to teach your kid what is correct and what is not. I don't have kids so I can't give you honest opinion on this but there is 100% someone who doesn't know anything about this. We know for example that males are playing more than females so in the future single mother will struggle with this because she would have much less experiences than her husband about video games and communities on the Internet etc. People also know what they are doing when they put their house on a bet and lose everything. Doesn't mean anything. This is the equivalent of marijuana being a gateway drug as buying loot boxes is to real life gambling. It doesn't require skill to purchase these loot boxes...it all comes down to "chance"